Headed out to Gardiner Basin to collect data in the AM and the weather turned nasty. So we decided to head out to look for Grizzlies. Had heard that there had been one hanging out at an appropriately named site, Grizzly Lake. We had success. 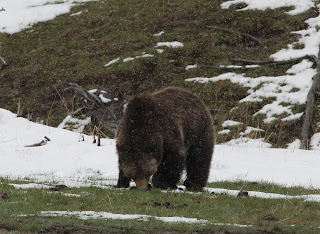 Watched this Grizz graze for about an hour. Turned around and headed back to GB and the weather had improved. We worked on quantifying the establishment of eight native species that were no-till drill planted last October into and area that had been intentionally burned. We used a PVC frame with a grid of string to count the number of squares that had the native species of interest in them and we also counted Alyssum desertorum, our invasive weed. Early take home is that some species are doing well and others not so much. But Alyssum doesn't seem to be negatively effecting establishment. 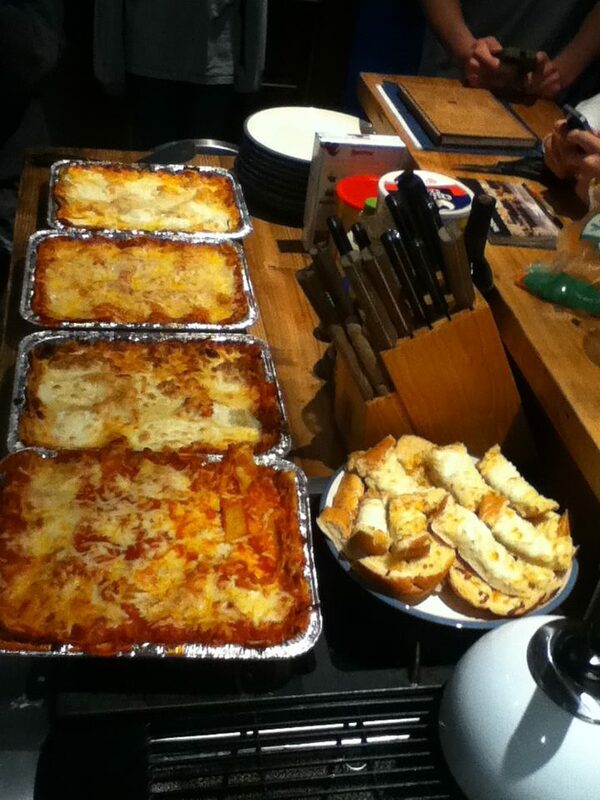 We made two kinds of lasagna for dinner, Spinach and meat (spicy Italian sausage and Montana beef). We are using a Facebook page too. It's easier to update from the field but with less detail. Anyone can see it, you don't have to login to Facebook to view the page.